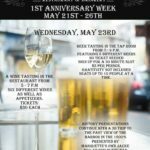 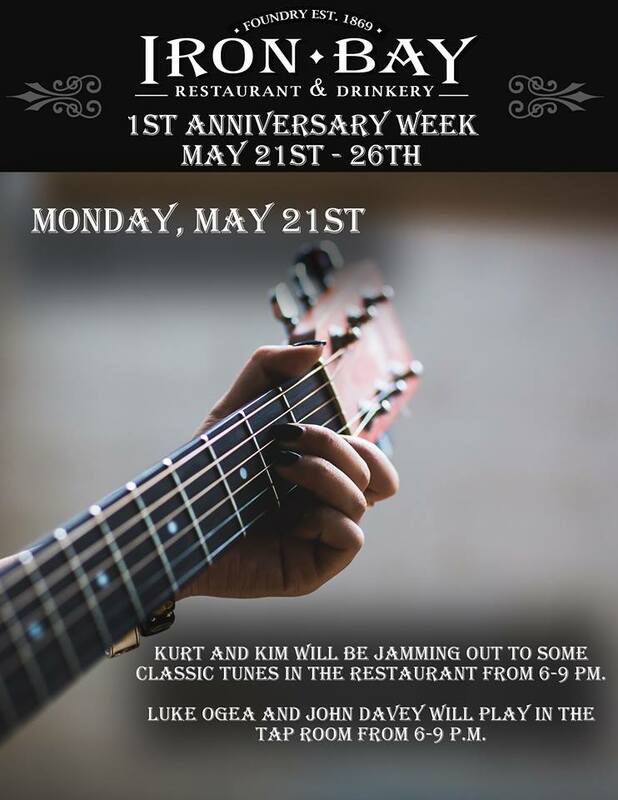 Come by Iron Bay Restaurant & Drinkery for their 1st Anniversary Week! 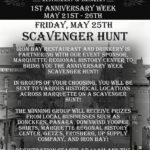 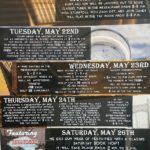 Marquette, MI – May 14, 2018 – If you haven’t been to Iron Bay Restaurant and Drinkery on Washington and Lakeshore in Marquette yet, the time to do so is coming! 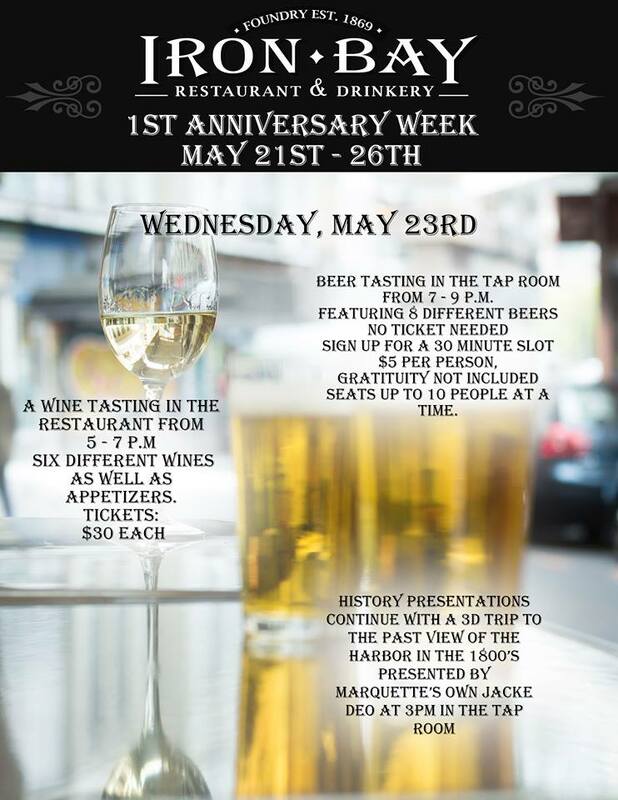 Next week the local restaurant is celebrating it’s 1-year anniversary in Marquette and they aren’t holding anything back. 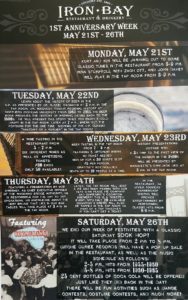 With special promotions throughout the week, you’ll want to check out the schedule of events and see what’s happening! 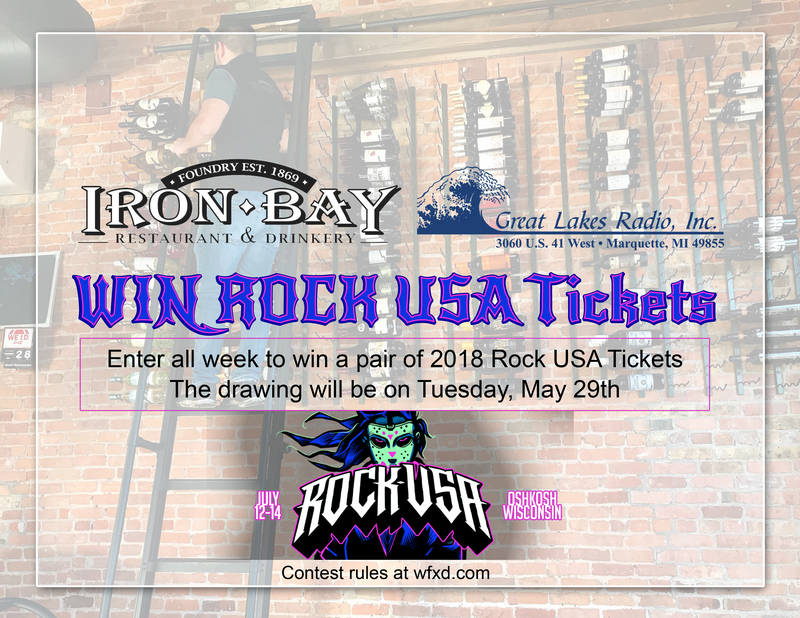 Join Great Lakes Radio live from Iron Bay for the first day of anniversary week! 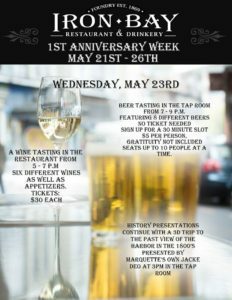 We’ll be at the Restaurant reporting live about what is going on and maybe even giving some stuff away! 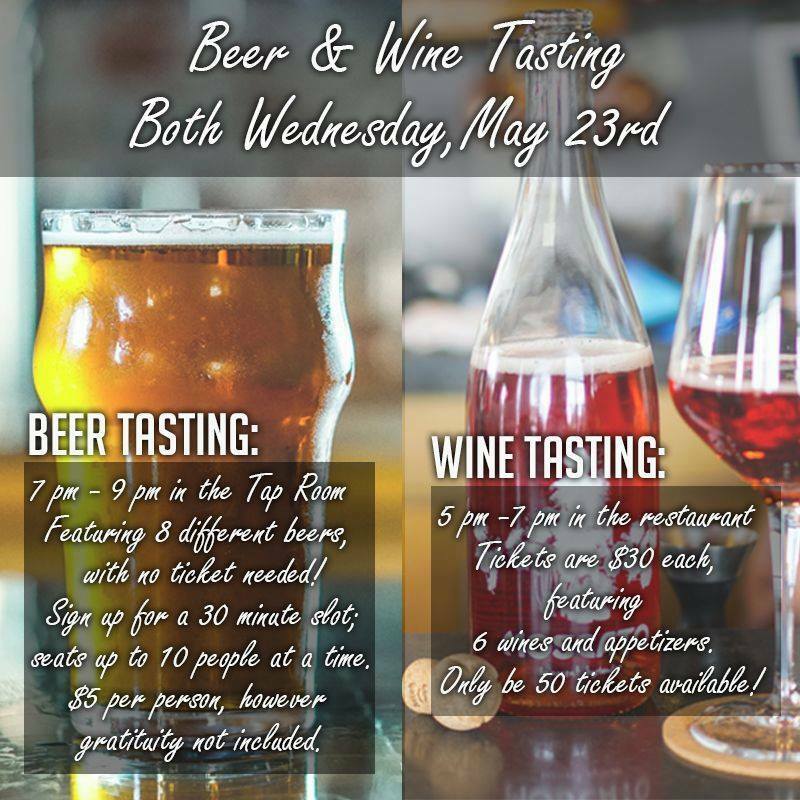 Wednesday is beer and wine tasting at Iron Bay. 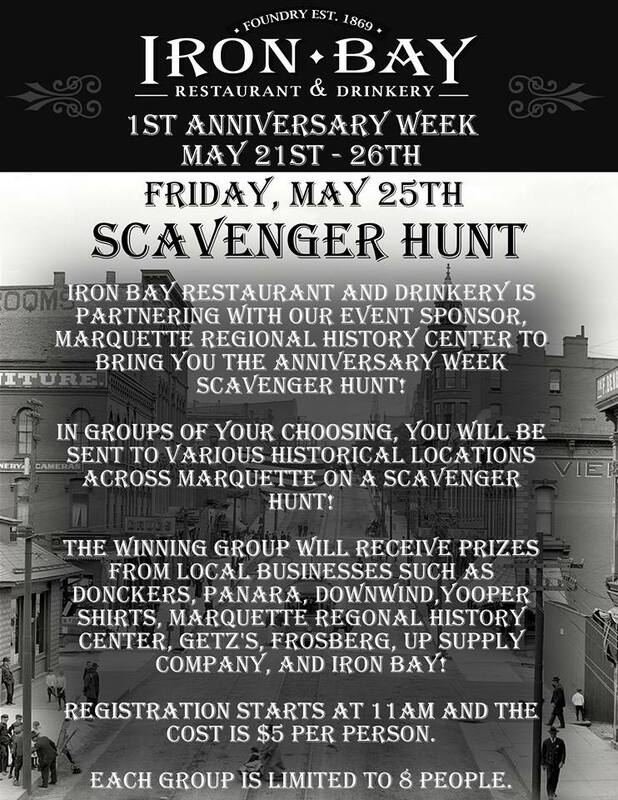 Join the Scavenger Hunt on Friday. 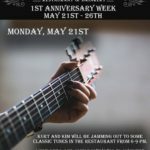 Catch some live music on Monday. 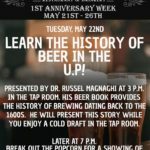 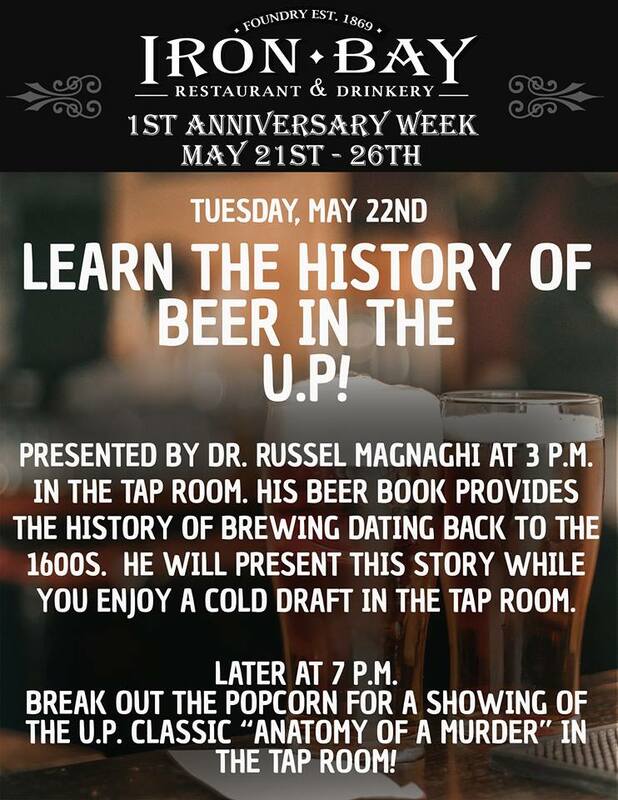 Listen to Dr. Russel Magnaghi talk about the history of beer in the U.P. 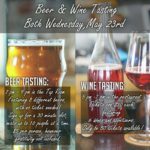 Make sure to sign up for a tasting. 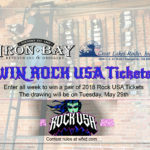 Win a pair of Rock USA Tickets!